Haif aspires to be recognized as one of the largest national companies in its fields, with quality of management and professionalism throughout the kingdom of Saudi Arabia, the district and the world. 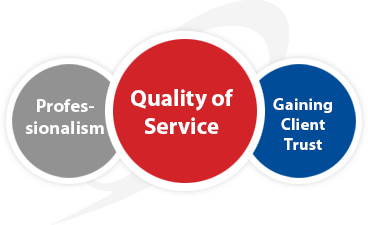 Work to create superior values for the respected clients and community through delivering the best quality products and services. Sustain its growth to provide our stakeholders with unlimited support for achieving their prosperity and wellbeing. Haif is committed to rank its clients as a top priority. Ensuring the completion of projects based on world's class standards and that all divisions work collectively to expand the company's products and services and open new branches, delivering best solutions to meet the market demands in the Kingdom of Saudi Arabia, the district and the world. We are committed to make our clients top priority, also, to ensure the completion of our projects based on highest & latest International standards, working collectively with all divisions of the company & its subsidiaries. We are looking forward to expanding our services, and opening new branches to deliver better solutions to meet our clients & market demands in the Kingdom of Saudi Arabia.